UPDATE: Feria 2016 draws 10,0000-plus. REVISED: This version reflects the addition of co-sponsor names as well as removal of a cancelled a speaker. The 2016 Feria de Educación from 11 a.m. to 4 p.m. on Saturday, Oct. 22, at the Fresno State Maple Mall on campus is expected to draw more than 7,500 for the unique college fair conducted primarily in Spanish. 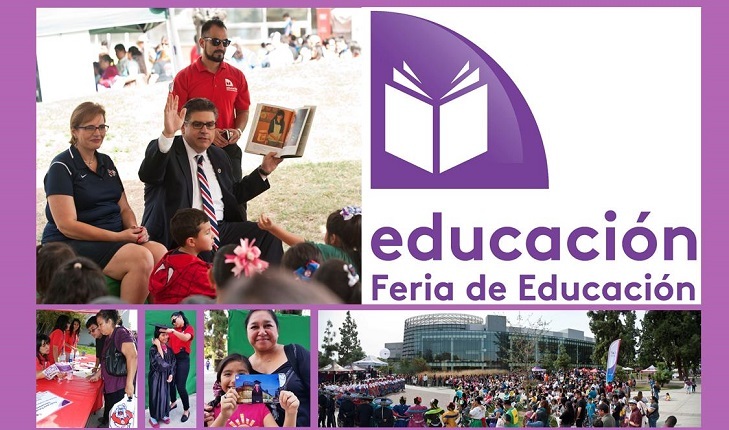 The fair — a partnership between the California State University System and the Spanish-language television network Univision with other local community groups — is designed to empower Latino parents and students and provide them the information and resources to help them succeed. The free, public statewide college fair is part of the CSU’s Latino Initiative which forges strong community partnerships that help increase the number of Latino students who attend and graduate from college. There is no formal registration process required but students seeking transportation are encouraged to sign up with their respective schools for them and their parents. Free parking is available in all lots for those driving to the event (nearest parking is in Lot P-1 at Shaw and Maple and Lots 5 and 6 on Woodrow between Shaw and Barstow). Three Spanish-language ferias are held in statewide and several others are held nationwide via Univision. 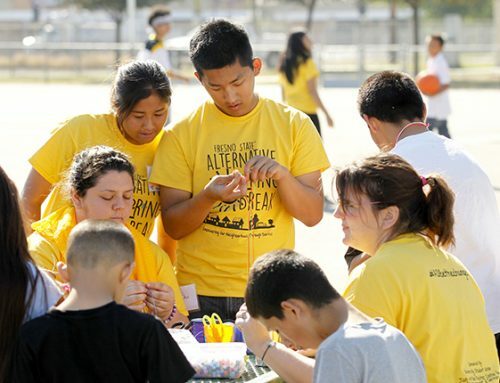 The other California events were held at Sacramento State Oct. 1 and California State University, Northridge, Oct. 15. These efforts support the CSU’s new Graduation Initiative 2025 targets focused on increasing the completion rates of first-time freshmen, transfer, low-income and underserved students. This fall, Fresno State’s total Latino student enrollment is 11,576, nearly half the university’s total enrollment of 24,076, making Fresno State one of the largest Hispanic Serving Institutions (HSI) in California. 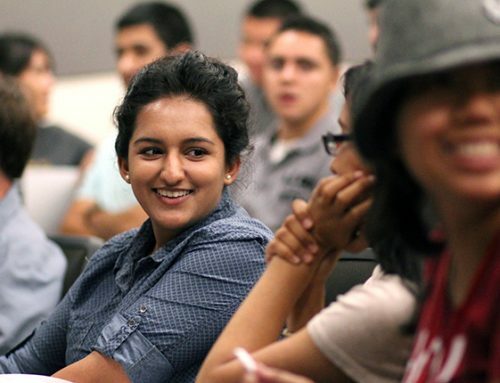 An HSI is an institution participating in a federal program designed to assist colleges or universities in the United States that attempt to assist first generation, majority low income Latino students. More than 267 schools in the nation have been designated as an HSI. For the Fresno State event, the Spanish language network’s TV and radio Univision affiliates are working with a university committee coordinated by the Outreach and Special Programs office, the Consulate of Mexico in Fresno in Fresno, the Fresno County Office of Education Migrant Programs, sponsors and other non-profit organizations (see below). In its inaugural year in 2015, the event drew more than 5,000 people. Martina Granados, director of Outreach and Special Programs at Fresno State who is the Feria committee chairperson, said interest has grown this year in school districts and even rural city governments who have arranged for more than 60 buses from throughout the valley that will transport students and their parents. More than five 5,000 books in Spanish and English will be handed out to promote reading in the community as well as to underscore the value of being bilingual. Entertainment includes Fresno State’s Mexican folkloric dance troupe Los Danzantes de Aztlan; the cast of the Fresno State Music Department opera Lucinda y las Flores de la Nochebuena presenting some of the music from their upcoming performances; Ballet Folklórico Oro de México. Castro will welcome the participants and will be joined by Jose Elgorriaga, Univision vice president of sales (northern California); the Hon. David Manuel Preciado Juárez, the new cónsul of Mexico in Fresno; and Maryann Jackmon, senior director for External Relations representing the California State University Office of the Chancellor. Several public officials such as Assemblymember Joaquin Arambula; Esmeralda Soria, Fresno City Councilmember; Jim Yovino, Fresno County Superintendent of Schools; and Victor Lopez, mayor of Orange Cove will also participate. In addition to super welterweight boxer Valdivia of Tulare who is 12-0 professionally and middleweight Lopez of Fresno who is 7-0, other boxers scheduled to appear are Saul Lomas, Quilisto Madera, Isidro Ochoa, Bryan Lua and Marc Castro. The fair begins at 11 a.m. with opening ceremonies when the Fresno State Army ROTC Bulldog Battalion will present colors and the National Anthem will be performed by Alejandra Tejeda, Fresno State music student. The Fresno State Air Force ROTC will retire colors. Univision21 anchors Reina Cardenas and David Ibarra will serve as masters of ceremonies and introduce speakers. A ribbon cutting ceremony will be held at about 11:45 a.m. to formally open the fair. Guests can attend workshops, exhibits, campus tours and visit food vendors from 12:30 p.m. to 4 p.m.
Other co-sponsors are First 5 California, McDonalds, Fresno County Office of Education, Food Maxx, the Central Valley Immigrant Integration Collaborative, Kern County Superintendent of Schools Migrant Education, Central Valley Cal-Soap, Tulare and Kings Counties Migrant Education Program, Assemblymember Dr. Joaquin Arambula, Clovis Community College, Fresno County Preterm Birth Collective Impact Initiative, Education and Leadership Foundation, Golden Memorial, Colortron Printing Solutions and Fresno State programs: Outreach and Special Programs, California Mini-Corps, Educational Talent Search and Upward Bound Program. For more information, contact Granados at 559.278.5374 or see the website at: bit.ly/FS-FeriaEd. The event may be followed using the social media hashtag #CSUFeria.